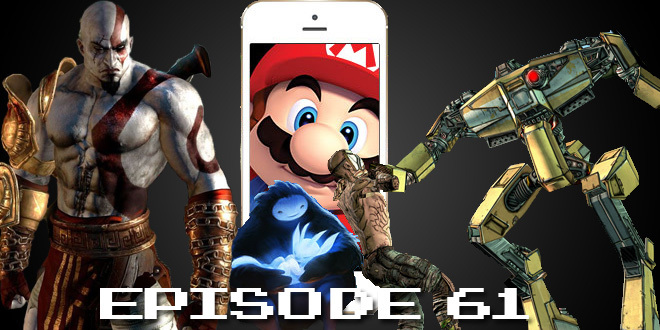 The Gamesmen, Episode 62 – Do You Even Nintenbro | The Gamesmen- What role will YOU play? Join Hardlydan and Amras89 for game talk and fun! This time, The Gamesmen talk about Nintendo and DeNA forming a business and capital alliance, God of War 3 remastered coming to PS4, the next Game of Thrones episode, Xenoblade Chronicles 3D download size, and an artist sprucing up thrift store paintings. Games discussed are Monster Hunter 3 Ultimate, The Golf Club, Elite: Dangerous, Tales from the Borderlands: Episode 2, Ori and the Blind Forest, Chime, and Mario Kart 8. Answer the #tGmQuest – How do you cure gaming apathy?